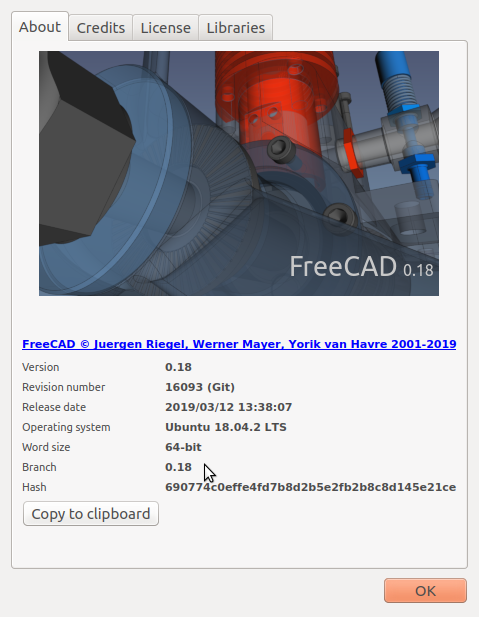 Stay tuned guys, #FreeCAD 0.18 release is imminent! The 0.18 tag has been created, all that is needed now is for packagers to prepare binaries (installers) for Windows, Linux (AppImage) and macOS. That last one may be delayed, from what I gather the Mac guys have been having trouble building the whole dependency stack (and it's huge). Of course, for Ubuntu the freecad-stable PPA repository will be updated, for these users it's the best and effortless way to get it.